People always ask me “what is the secret to productivity?” The answer to that is, as most of you will know, that there is no real secret. 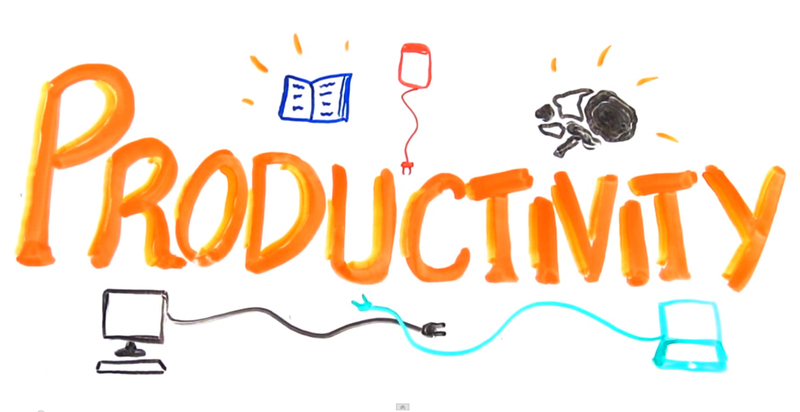 The meaning of productivity is how efficient and “productive” you can be with your time. The reason most people want to be more productive is so that they can get their work done quickly and have more spare time on their hands so that they can do more of what they love. The easiest way to become more productive is quite simple. You create more time. How do I do this? I hear you ask. You wake up earlier. At those words I bet 25% of the readers here close the internet and go to bed. If you are one of the remaining 75% then congratulations, you are clearly not a lazy person and have what it takes to become more productive. Before I continue, I will quickly inform you that if you are not lazy but do struggle to wake up earlier, I have a couple of posts giving you tips on how to wake up earlier. Feel free to check those out. In fact humans are naturally more productive in the mornings. Therefore, once you’ve become accustomed to waking up earlier without feeling groggy, you will be able to complete work faster in the morning than you would when you return home at night feeling stressed and tired. At first waking up earlier to fit more in the day seems too hard or silly but after a while, it is safe to say that it pays off.